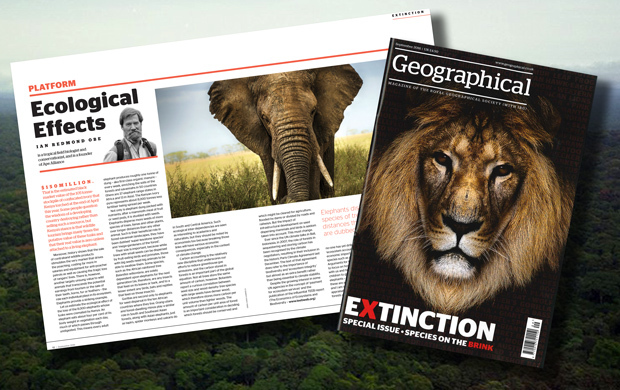 vEcotours Ambassador Ian Redmond re-lives the moment he was charged by a four-tonne elephant in a new article for National Geographic. 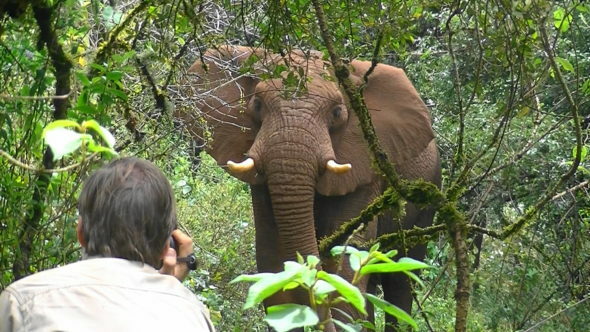 “There is some irony in this – that the person who coined the term ‘elefriends’ should be trampled by a decidedly unfriendly elephant – but I’m pretty sure it wasn’t personal,” Ian jokes, as he recalls the unexpected encounter at Mount Elgon Forest Reserve, which took place earlier this year. Ian, who caught the charge on film, was visiting Kenya in April to watch President Kenyatta of Kenya and President Bongo of Gabon set fire to 105 tonnes of ivory — Kenya’s largest ever ivory stockpile burn. After the burn he joined the Mount Elgon Elephant Monitoring Team — the MEEM Team, made up of local community trackers and Kenya Wildlife Service (KWS) rangers — to check up on the elephant population of Mt Elgon, which is best-known for its underground salt-mining habits! 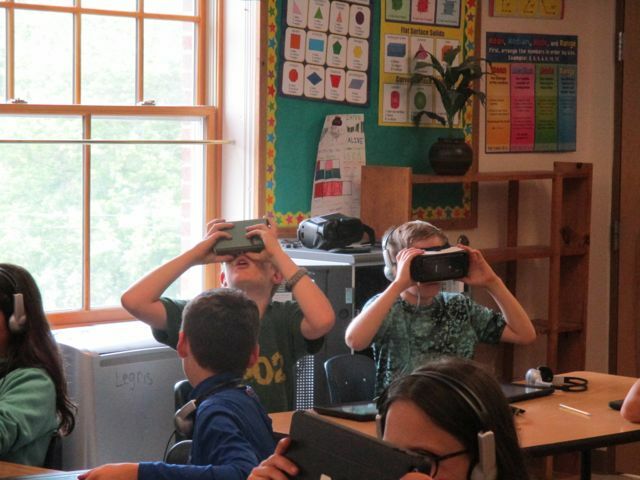 Here at vEcotours, we’ve taken our first leap into the classroom, trialling a new “kid’s version” of our Mount Elgon virtual reality tour for a special lesson at Cambridge Elementary School, Vermont. The demo used our new app, which is available for both iOS and Android, with a special new narration, voiced by youngsters Erica and Oliver Laxer. It was a great chance to see what students thought of the Mount Elgon tour. The reaction was, happily, a positive one! 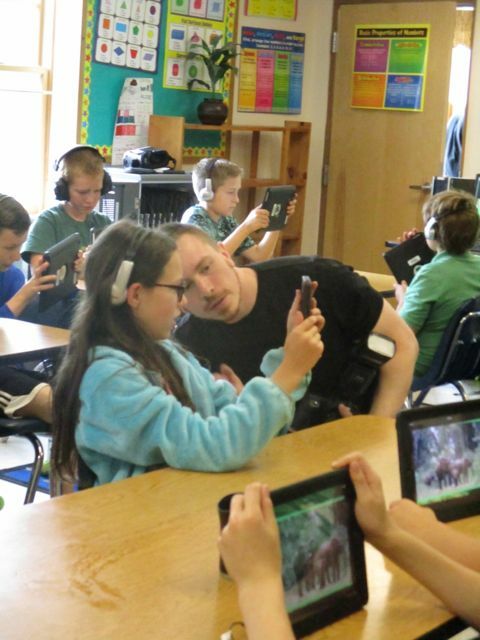 We also challenged students to “adopt” some of our tours after summer vacation; to research the locations and the species that live within them and produce a school project to narrate the tours themselves. 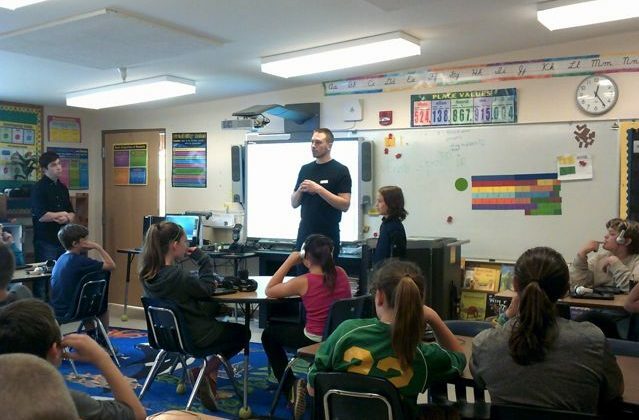 We’re looking forward to seeing what students at Cambridge Elementary School come up with! 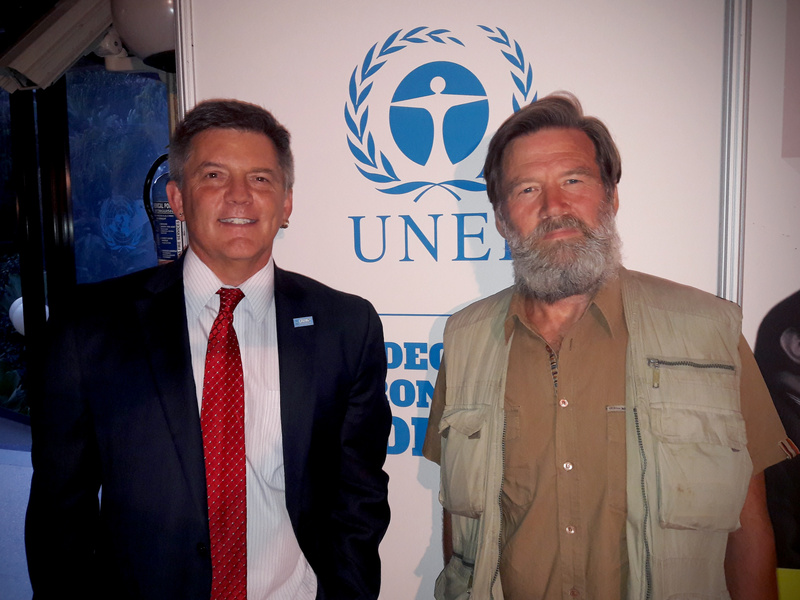 Our Ambassador, Ian Redmond, remembers the mountain gorillas that famously interacted with Sir David Attenborough in the landmark television series ‘Life on Earth‘ for a new article for BBC Earth. 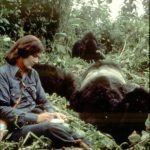 Ian recalls introducing the BBC film crew to two of the gorilla groups being studied by Dian Fossey, while he was working as her research assistant at The Karisoke Research Centre in 1978. 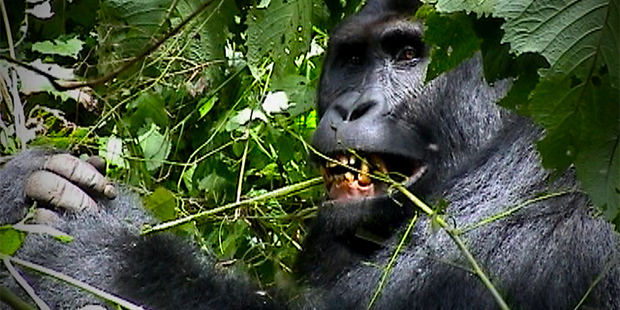 Answering the question: “Where are they now?”, BBC Earth explores the lives lived of the gorillas that featured in the now infamous clip. Happily, Poppy, the then two-year-old infant who played alongside David Attenborough, is now an elderly matriarch in the Susa Mountain Gorilla Group, one of the groups habituated for tourist visitors, and one which you can visit, virtually, with vEcotourism.org. at close range on the flanks of Mount Karisimbi. 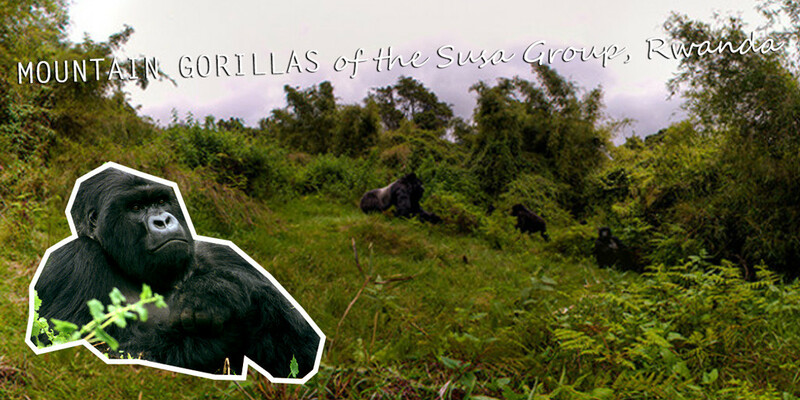 To visit more mountain gorilla sites in the Virunga Volcanoes region, including the remote glade where Dian Fossey lies buried alongside her beloved gorilla friends, please choose a tour from the map below. vEcotourism.org is both proud and incredibly excited to be launching our first virtual reality mobile app in partnership with the United Nations Environment Programme – Great Apes Survival Partnership (UNEP-GRASP) and the Ape Alliance: apeAPP VR! The app, which will be available on both Android and iOS smartphones, will offer immersive tours of all great ape habitats, designed to be viewed in full, immersive 360 degrees when paired with a Google Cardboard-style headset. 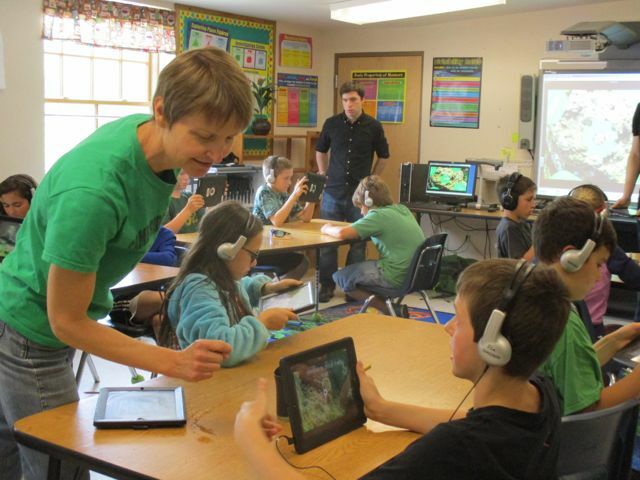 You’ll explore locations from Gashaka Gumti National Park in Nigeria to the Tripa Peat Swamp in Indonesia simply by turning your head, and learn more about each great ape species via engaging audio narrations and interactive hotspots that display close-up images, fact sheets, and maps. 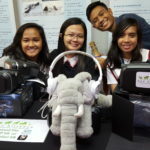 Launching to coincide with the 2nd United Nations Environment Assembly (UNEA) on 23 May, 2016, the app will showcase the innovative conservation efforts of GRASP, the coalition building of the Ape Alliance, and vEco’s ground-breaking VR technology. 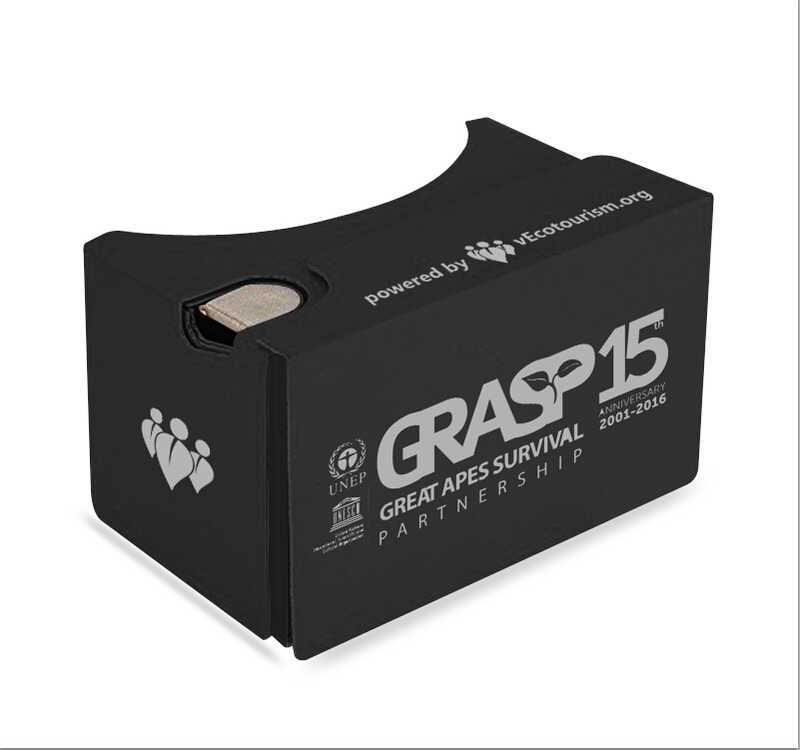 Doug Cress, programme coordinator for the United Nation’s Great Ape Survival Partnership (GRASP) said: “It is our pleasure to bring you this innovative collaboration between our three organizations, bringing cutting-edge virtual reality technology to bear for great ape conservation. If you’d like to experience apeAPE VR and you won’t happen to be in Nairobi at the end of May, stay tuned to our website or social media and we’ll let you know when the app is available online. If you don’t already own a Google Cardboard headset, now’s the time to pick one up! vEco recommends this model (£8) in the UK and this one ($15) in the USA. What equipment does a naturalist usually need? vEco’s Adviser and Ambassador (and renowned wildlife biologist and conservationist) Ian Redmond suggests a pair of binoculars and a hand lens, but — as he explains in this short video — soon, a virtual reality headset could also be a vital piece of equipment! 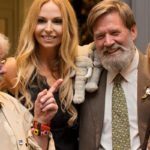 It’s a positive movement; that many great natural history programmes and films have inspired so many would-be wildlife enthusiasts, and whilst the best way to learn about species is in their natural habitat, affording the costs (and clocking up the air mileage) to do so can often be unobtainable. vEcotours allows virtual eco-tourism in an immersive, interactive way using a screen (and, imminently, a VR headset! 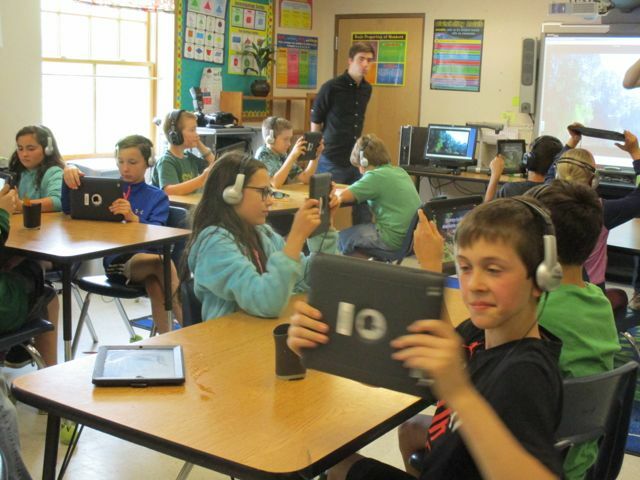 ), and as Ian explains here, it can be a very powerful, educational tool that allows interactive learning across the globe. 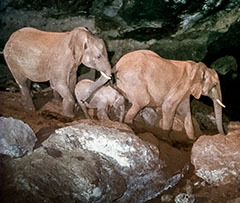 Join live tour host Ian Redmond for a multimedia 360-degree virtual reality tour of the world’s only salt-mining elephants! March 3rd is designated by the United Nations as World Wildlife Day. This year, the theme is ELEPHANTS – the largest animals on land. All three species – the African Savannah Elephant, the African Forest Elephant and the Asian Elephant – are endangered. They are killed for their front teeth for the ivory trade and trophies. Their babies are stolen to be cruelly trained for rides and tourist photos. Their habitat is being destroyed for agriculture, mines, buildings and roads. But if everyone understood how important elephants are to maintaining the ecosystems that sustain us all, perhaps we would value them as the biggest and most important #GardenersoftheForest. Elephants disperse more seeds of more species of tree than any other animal – every day they sow the seeds of the trees of tomorrow, trees that we need to soak up carbon and prevent dangerous climate change; moreover, each elephant produces about one tonne of manure per week enriching the soil; they dig waterholes, create long-distance footpaths and excavate mineral-rich salt-licks that benefit other animals. 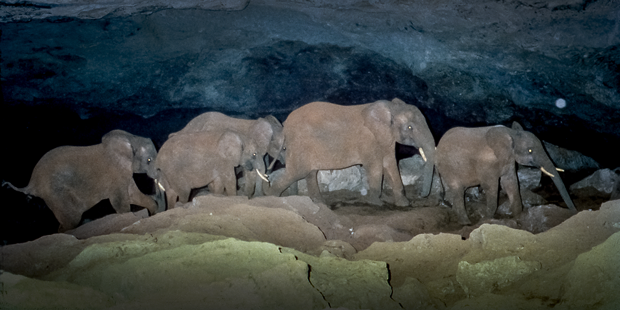 And on Mount Elgon in Kenya, the world’s only troglodyte tuskers go deep underground… yes, underground, deep into the dark zone of caves, beneath bats roosting overhead, feeling their way with trunk outstretched like a blind person with a cane. To find out why and how, join host Ian Redmond as he guides you LIVE through an immersive 360-degree tour of this unique location!